The Academy Award-winning documentary, One Survivor Remembers, which was directed and produced by Kary Antholis, is one of the 25 films that will join the prestigious National Film Registry this year. The list was unveiled by the Library of Congress on December 19. All 25 films, which span from 1897 to 1999, were selected for their “important cultural, artistic and historic achievements in filmmaking”. The list also includes the 1914 version of Uncle Tom’s Cabin, George Cukor’s 1950 Born Yesterday, and Truman Capote’s 1961 Breakfast At Tiffany’s. For a complete list of this year’s inductees, visit the Library of Congress website. According to the Library of Congress, Antholis’ film (as is the case with the other 24 films added to the registry) was added because it is considered a work of enduring importance to American culture. Antholis’ documentary short (39-minute) film is about Holocaust survivor Gerda Weissmann Klein, whose life was shattered when the Nazis invaded Poland during World War Two. Klein recounts her six-year ordeal as a victim of Nazi cruelty. She and her family were sent to concentration and slave labor camps. She was the only survivor. By mixing footage shot in contemporary Europe at key locations of Klein’s story with interviews and personal photographs, Antholis explores the effects that Klein’s experiences had on the rest of her life. When the Nazi troops stormed her southern Polish hometown of Bielsko, Klein and her parents and brother were forced to live in the basement of their home. They were later transferred to a Jewish ghetto. Her brother was summoned to register with the German army. Her parents were sent to the Auschwitz death camp. Klein was sent to Dulag, a transit camp, and then to various slave-labor and concentration camps. In early 1945, she was among the 2,000 women ordered by the Nazis to begin a 350-mile death march to evade the advances of Allied Forces. Only some 100 women survived – Klein was one of them. Two years ago, President Barack Obama presented Klein with a Presidential Medal of Freedom during a ceremony in the East Room of the White House in Washington. Antholis, who President of Miniseries at HBO, has overseen some of the network’s most groundbreaking socially conscious programming. He is a first generation Greek American from New Jersey. His mother, Evanthia, grew up in Nazi-occupied Greece – in the Peloponnesian town of Arkadia. 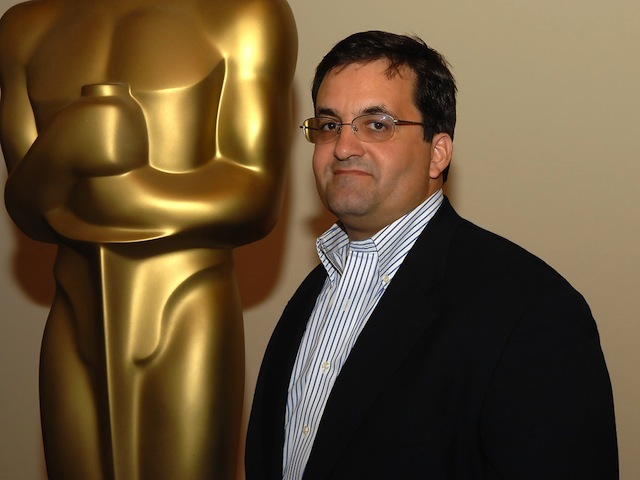 As an executive he has been responsible for Academy Award, Emmy and Golden Globe-winning projects, both dramatic and documentary, including Mildred Pierce, The Pacific, John Adams, Generation Kill, Elizabeth I, Angels in America, The Corner, Wit, The Gathering Storm, From the Earth to the Moon and Educating Peter. By making the award-winning documentary about Weissmann, Antholis says he learned about what his own mother went through when her father, Vassilios, was killed by Nazi collaborators. Exploring Gerda’s story offered him an extraordinarily vivid connection to his own mother’s experiences during the war. Evanthia (photo, taken 1968) immigrated to the United States in the early 1950s. 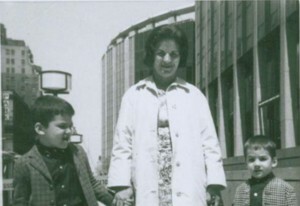 She took pride in teaching the Greek language to hundreds of young Greek Americans. Get a DVD copy of One Survivor Remembers here.